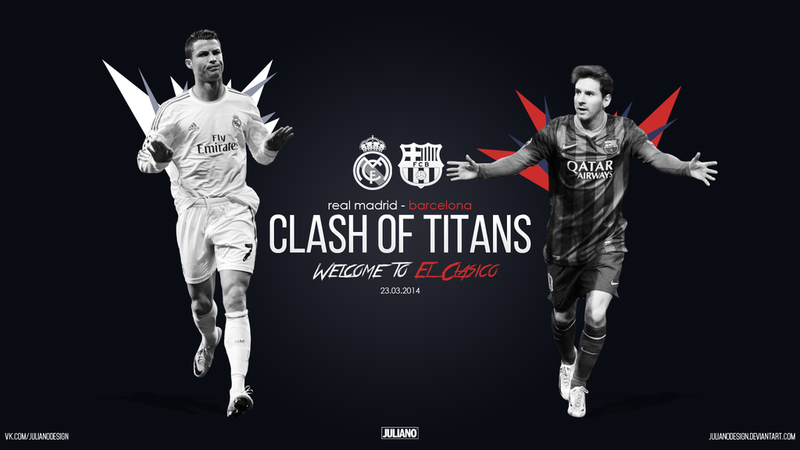 It’s one of those Real Madrid vs Barcelona Clasicos that will draw everyone’s attention. The two teams will collide at the Santiago Bernabéu this Sunday night and as usual in these games, we can already feel the tension in the air. Real Madrid might be coming into this game with the favorites’ label, but Barcelona surely won’t be underestimated by Carlo Ancelotti‘s men. Real Madrid will line-up with their strongest eleven this season. Diego López will be the goalkeeper, while Marcelo and Carvajal will take the full-back roles. In the centre, Pepe and Sergio Ramos will be in charge of keeping Messi, Neymar and company on a short leash. One of the key elements in the Merengues is obviously Xabi Alonso, responsible not only for dictating the tempo of his team’s game but also for initiating all the attacking initiatives when his side recovers the ball. Ahead of Xabi we can expect Luka Modric and Angel Di María to partner up in an attempt to try edging Barcelona‘s packed midfield. The Croatia international has been outstanding this season and he has earned the respect and recognition from his pairs, coach and fans. Di María in the other had to leave one of the wings and start playing through more central areas on the pitch. The Argentinian has been showing an incredible work-rate and he has definitely become a great asset in this Ancelotti squad. If Real Madrid‘s line-up is indeed easy to predict, Barcelona‘s starting eleven still raises a few questions, especially in the attacking area. Valdés will be in the goal, with a defense formed by Daniel Alves on the right, Jordi Alba on the left, and most likely Piqué and Mascherano as the centre defenders. The midfield tasks will be delivered to Sergio Busquets, Xavi and Iniesta, as Gerardo Martino isn’t likely to risk much by experimenting a different dynamic coming from any other players than those. The attack will surely count with Lionel Messi spearheading all the offensive charges. The Argentinian will have two teammates by his side, but at this stage, it’s hard to guess who exactly. Neymar rested in Barcelona‘s last game for against Osasuna for La Liga, which might be an indication that he will start against Real Madrid. As for the third attacking member, Tato Martino will probably pick either Alexis Sánchez or Pedro Rodríguez. The Clasico Real Madrid vs Barcelona will be broadcasted by Sky Sports 1 in the UK, beIN Sports in the USA and Canal+1 in Spain. You can also watch Real Madrid vs Barcelona live stream online, from any of the free links that will be provided by Ronaldo7.net. Barcelona v Real Madrid: Is Neymar the key to win the Clasico?